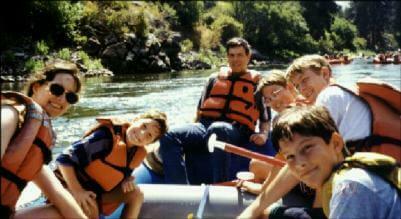 A quiet moment while whitewater rafting in Idaho. 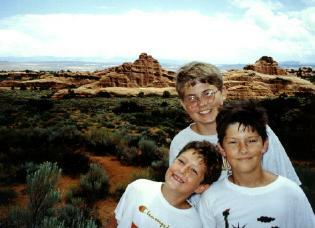 Daniel, Ben, and Mark, as photographed by Stephen at Arches National Park in Utah. 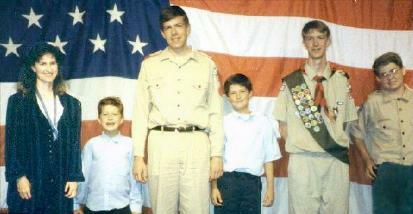 Stephen received his Eagle Scout award on July 2, 1999. A major achievement! 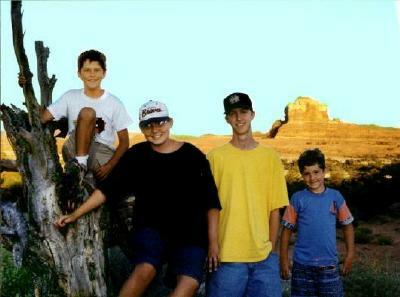 Our four boys and a tree in southern Utah. While hiking at Arches National Park, a sudden thunderstorm surprised us. 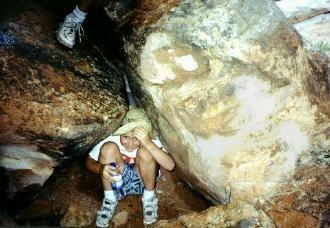 Here, Mark seeks shelter under some rocks. 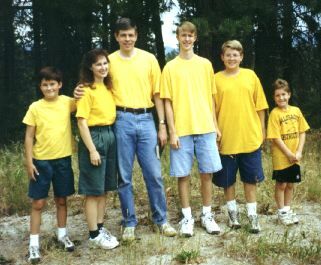 Here's a shot of all six of us near McCall, Idaho. 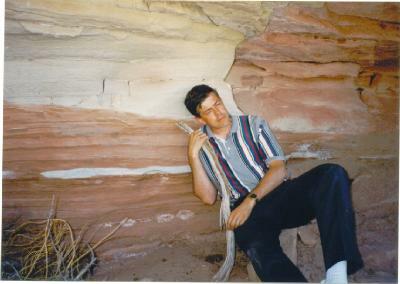 Jeff feigning fatigue under a sandstone ledge in Canyonlands National Park.